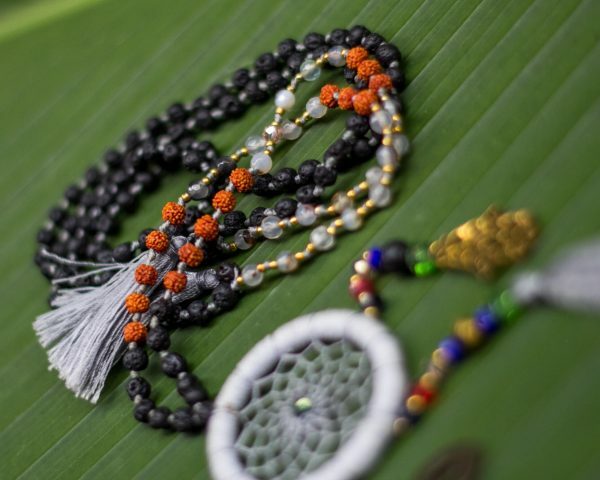 The rudraksha beads and lava stones are original. 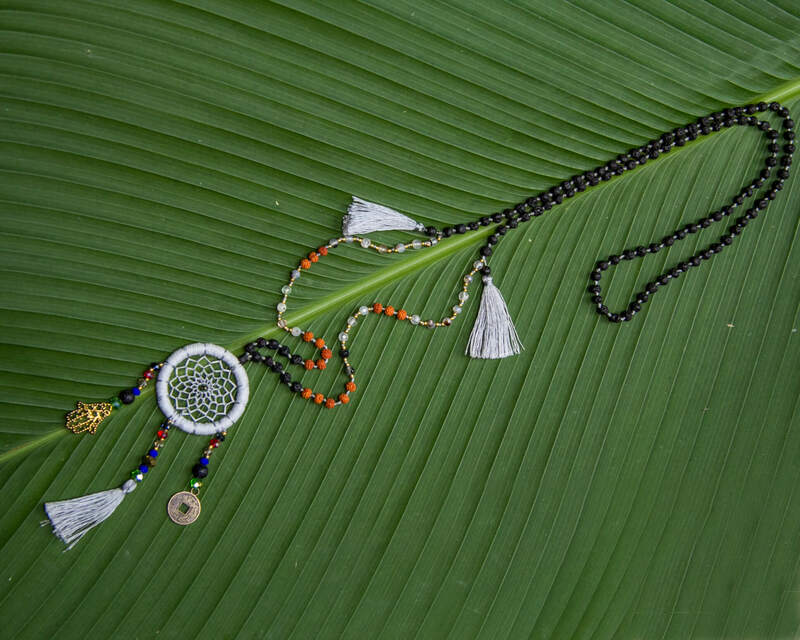 One of a kind, only 1 available! 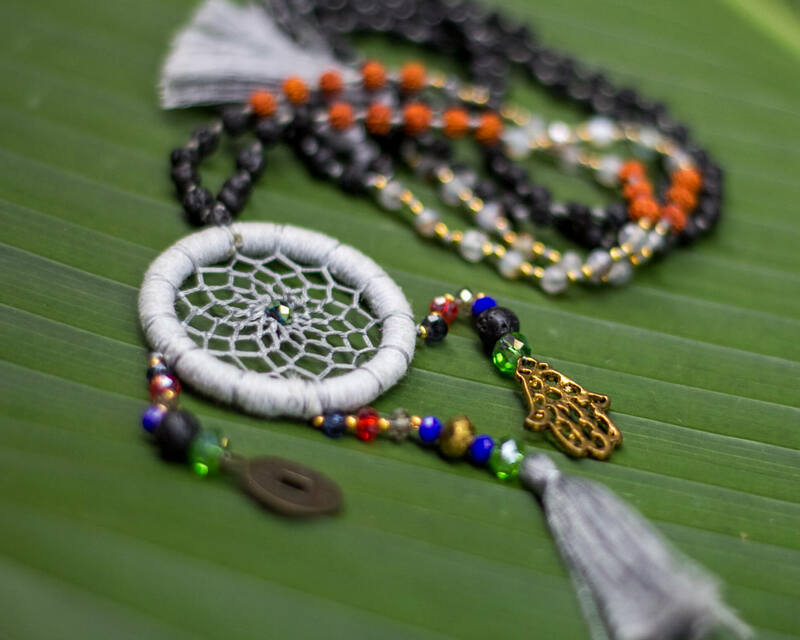 Dreamcatchers are believed to bless your dreams with goodluck and harmony. 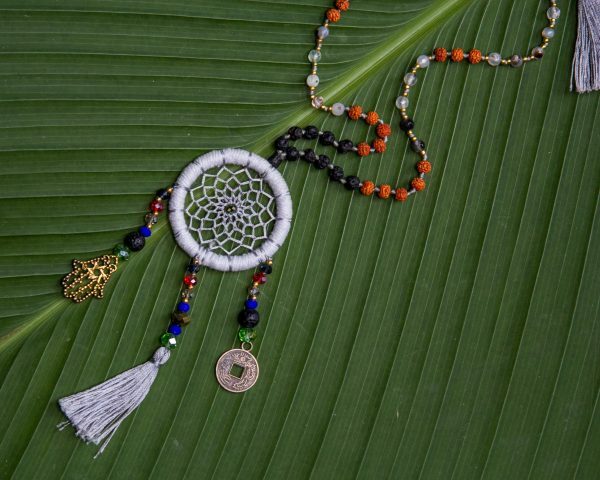 This wonderful “sacred hoop” at the end of the necklace will protect you and help you have nice and joyful dreams! 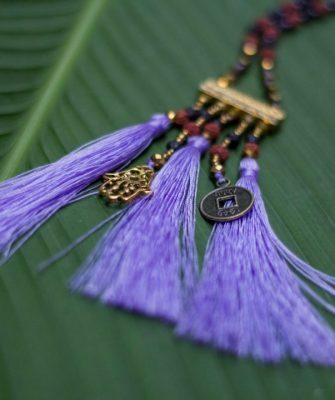 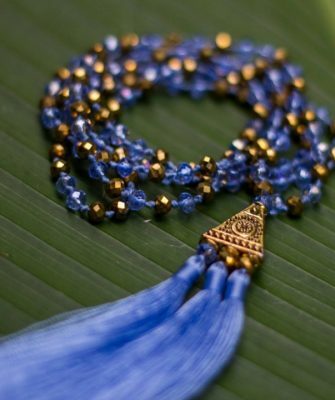 Featuring tassels, beads, hamsa hand charm and a tiny cute old chinese coin. 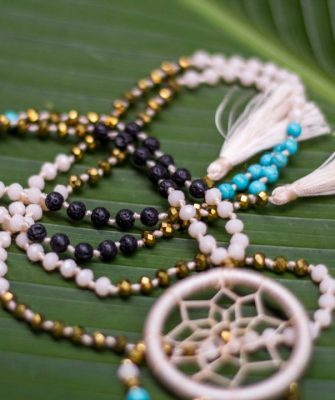 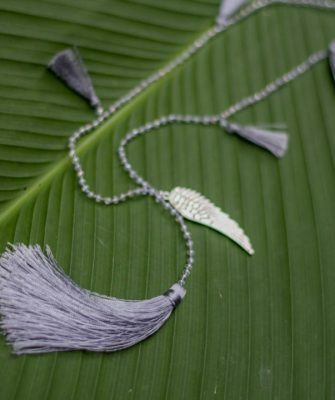 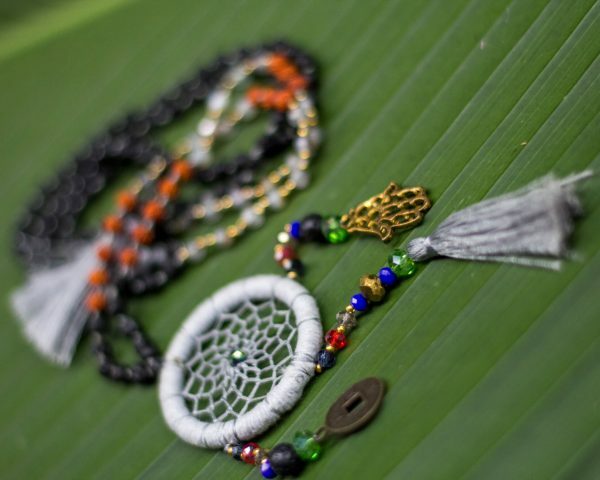 Ethically handmade, inspired by heart in Bali.